Many people compile their favorite recipes in an unorganized mess. In fact most people do this. If you are one of those people who loves to cook and been keeping all your recipes in a piece of notebook, why not have them printed out nicely and hard bound with a customized cover. Digital printing offer limitless possibilities for recipe magazines and cookbook printing. Once upon a time, only famous chefs could afford to publish their recipes and make multiple copies to sell out in the market. Today, with the advancement of printing technology, you may now self-publish your cookbooks and start with only several copies to test the market. Or, if you just want a few copies that will serve as a keepsake of your family's favorite recipes, digital printing can cater to that need. Due to inexpensive custom cookbook printing in Boston, MA, it's now possible to have nice printed copies with high quality graphics and elegant covers in a low price. You may incorporate your own illustrations, photos of your recipes, and your very own logo and artwork on the book's cover and within the internal pages. Customized cookbook printing provides you with various options to make your cookbook unique to you that incorporates full vivid images. To find out more about customized cookbook printing, contact Country Press, Inc. If you're an author who would like to have more control in the printing and sales of your book, self-publishing is best means to fully manage your printing expenses and distribution strategy of your books to the market. Short-run book printing gives self-publishing authors the chance to regulate the number of copies to be released and printed. Short-run book printers in Boston, MA allow authors to have their manuscripts printed in smaller quantities. This allows them to save on both storage fees and printing costs while maintaining a higher level of control over their manuscript. 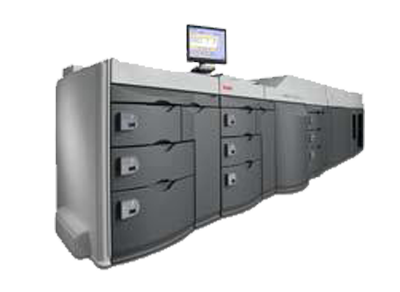 Also with short run printing, they can test the market before printing a large volume of copies. This allows writers can full control of their printing expenses. Short run book publishing is a practical way to test new manuscripts economically. ROI is also more quickly achieved when authors can print fewer books and test the market. If you are looking for short run book publishing services in Boston, MA, contact Country Press, Inc. There are many different factors to consider when determining whether or not your book should be printed through digital or traditional offset printing. But, Innovations in the field of digital book printing technology have made digital printing significantly more cost-effective, especially when the quantity to be printed is under 500. Most often, this is a great option for those who want to self-publish. For many years, digital printing has been the technology of choice for most independent authors due to its speed and flexibility. Self-publishing in Newton, MA allows self-publishers to have creative control over the entire publishing process. This gives them the freedom to modify their books and to choose whether or not they want to employ a professional to help with the editing, designing, and printing stages. Through digital printing, self-publishing is easy enough that more and more authors are choosing this route. Offset printing used to be the only option. But now authors no longer need to print large runs to save on printing expenses. Digital book printing provides more convenient choices. This means self-publishers don’t have to gamble their savings or have more capital just to publish their books. To find out more about self-publishing and digital book printing, contact Country Press, Inc. The world of book printing is changing rapidly. Modern advancements in the digital field offer numerous opportunities for authors, publishers and printers alike. Some are eager to adopt digital printing technology yet others prefer to stick with offset. However, many industry trends are making digital printing more attractive for publishers. Matching supply to demand has become even more possible throughdigital book printing since it makes small run production cost-effective. Because there’s no need for plate set-up, digital book printing has a much lower set-up cost than offset printing. 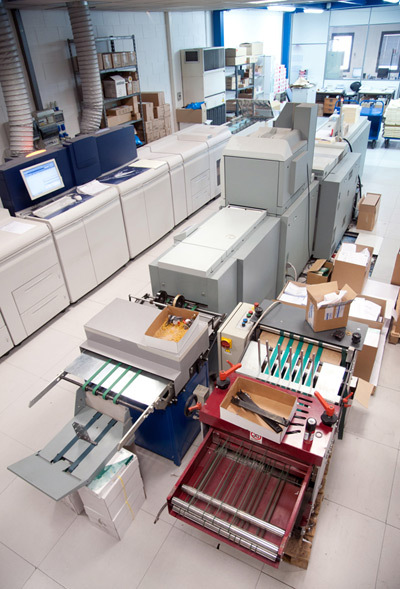 With state-of-the-art digital printers, the production of books can be done with faster turn-around and less expense. Also, digital book printing is extremely flexible. Its fast nature enables publishers to respond immediately to sudden surges in demand. If there are last-minute changes in book copies, authors can make updates conveniently and instantly. Digital printing in Newton, MA allows authors to print and produce clear copies of books in smaller quantities and with affordable prices so you are not pressured to order in bulk to remain cost-effective. This eliminates inventory and the associated risks and costs of having book overruns. To find out more about the options for digital book printing services, contact Country Press, Inc. Most authors find self-publishing attractive for many reasons. As a result, it has become the fastest growing segment of the publishing industry. Unlike traditional publishing, self-publishing allows the author to remain in control of the entire creative and selling process. Previously, this was a laborious and costly process because self-published authors shouldered all the costs of producing their work and were also responsible for marketing and distribution of their books. But, that has recently changed. Self-publishing has become easier and faster because of digital printing. Self-publishing services in Boston, MA gives authors the opportunity to craft and control their content every step of the way. They can make decisions regarding the text and cover art and even publish your material in whatever format they desire. With digital printing, the entire process of self-publishing has become result-efficient and cost-effective. Since digital printing is so quick to set up, self-published authors can conveniently have the correct number of books printed when they need them. With the evolution of self-publishing, self-published authors can generate higher profits. Because they put their own money into the production of their book, they can see the results more quickly than with traditional publishing. Through digital book printing, independent authors can maximize self-publishing services and dollars. Now, they can produce books with ease and at a minimal cost. For more details on self-publishing, contact Country Press, Inc. Most authors want to test the waters before they finally publish and release their books on the market. It's a fact that many readers pay attention to books that have been reviewed and endorsed by known and respected authors, reviewers, and bloggers. One way to garner these reviews is by sending out bound galleys. Bound galleys in Boston, MA are pre-publication version of an upcoming published book. These are advance reading copies use to gather and reap positive reviews and feedback. These ARCs are distributed to select individuals so they can review the book prior to final printing and release. Positive reviews and comments can contribute to higher sales and more successful marketing. Although they are not the final copy, they must still be professionally and perfectly printed for reading and review. With the available customization options, digital book printing can produce fast and high quality bound galleys before the final book is printed. Bound galleys are printed clearly with the use of a digital printer. Also, through digital printing, editing and adjusting the content is easier and more efficient. To find out more about bound galleys with digital printing, contact Country Press, Inc. In the past, after authors spent months and even years to finish writing their novels, there then came the decision on the publishing options to choose. There really were not a lot of options. Now, you can consider self-publishing or publishing in a traditional publishing house. These two publishing options have their own advantages. Everyone can create books and novels, while not everyone is accepted for publication. Both require very different budgets and time frames as well. Perhaps self-publishing is the right and satisfying option for some authors. For those interested authors that want to self-publish their books, self-publishing in Newton, MA is available. What are the perks of self-publishing? Authors have control over the price and content as well as the cover design of the book. Editing, marketing and publicity of the book is also shouldered by the author. However, the author did all the work, and with self publishing, the author will assume all of the profit of releasing their book. Clear and legible book content is achievable through digital book printing processes. Digital printing can make your self-published book accessible and can deliver illustrations and images that are precise. For more details on self-publishing, contact Country Press, Inc. Authors have book printing options for printing smaller runs with print on demand (POD) services. Because this option allows for smaller printing runs, authors no longer have to go over budget when they need to stock the shelves. These POD services allow authors to conveniently and cost-effectively reprint copies that can be used to replenish inventory. Digital printing allows authors to maximize their resources and minimize related risks by making this option very helpful for those independent authors who are just starting their career and do not have the luxury of funds to start with for initial capital. With this set-up, authors are less likely to have surplus books on hand which eliminates storage fees. This keeps all costs related to book printing at a minimum. Digital printing in Boston, MA has helped many authors realize their dreams. In fact, even publishers have enjoyed the flexibility to effectively address the fluctuating demands of book printing. With digital printing paving the way to success for authors and publishers, book shelves are replenished as soon as possible, with high caliber copies. To find out more about the advantages that print on demand services, contact the Country Press, Inc. Selling the book once it is published is the point. Authors can have direct control of this by promoting their book prior to release and by garnering positive reviews. An effective way to do this is to start marketing books early, even before the final copies come out, by distributing bound galleys in Newton, MA. Bound galleys are advanced copies, and are used to generate positive feedback and great reviews from book reviewers, other authors, and bloggers. These reviews can be printed in the final copies on the covers and on specific reviews pages. Great reviews encourage readers in their decision making process. Even if the bound galleys are the preliminary versions of publications, they need to be printed in a way that will help improve the experience of readers. For this reason, it is imperative for authors to use digital book printingservices to produce quality advance reader copies that are so good they mimic the final published versions. To find out more about digital book printing services for foolproof bound galleys, contact Country Press, Inc.